It’s an incredible legacy to leave this earth having left your mark of living for the Kingdom. That’s Dawn Vaughan Smith’s story. She’s no longer with us to share it, but the evidence she left lets us all know she lived for the Lord, especially for her sister, Donna. Dawn’s life began to change in December of 2011 when she developed blood clots. Shortly after this diagnosis, doctors found cancerous lymph nodes and a breast tumor. Doctors were perplexed as to her treatment. She said one day jokingly, "Maybe doctors can find a diagnosis/cure and call it the 'Dawn V. Smith Syndrome'." She was dying on the inside but kept her pain and desperation silent. It would be easy to give up on God, get angry or turn away — Dawn did just the opposite. "She reached out to God, put everything in His control and gave it all over to Him. Her love for God deepened, as did the impact she had on her family." From the outside looking in, it didn’t look good. Her blood clotting factors were unstable and painful, medications and daily shots were not working. Chemotherapy for the cancers poisoned her fragile blood and body. With her hair gone, she was still fighting the fight. But this didn’t stop Dawn from living her life and finding beauty in the small things. “She began to enjoy wearing wigs,” her sister, Donna says. As you look at pictures of her, you can see the different styles she would choose, giving her a different look every time. She showed grace with no fear because her trust in God and hope of heaven left no room for fear of the unknown. Even when she was too weak to go to church, she would watch it online and have her sister take notes. Then she would go back and study the Scriptures. 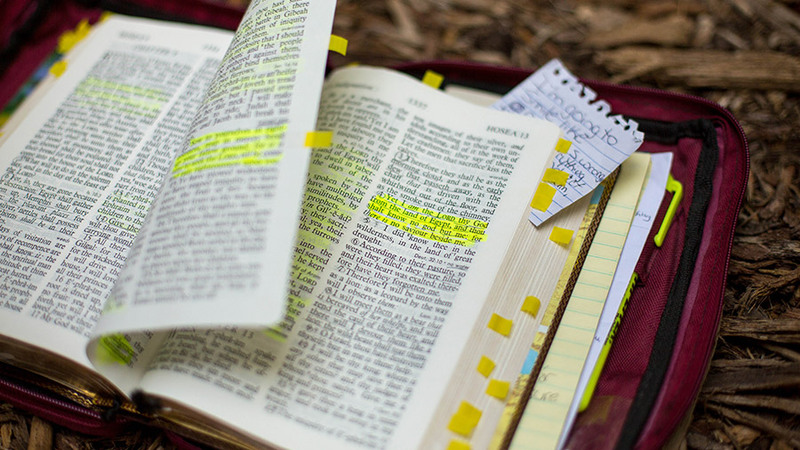 Her marked-up and highlighted Bible leaves sweet memories of her and her love for Jesus. How she handled her life in the end, with humility and love, shaped those around her. “She was always worried about others more than herself,” Donna says. “She influenced our family and brought us together.” Even in death, she was still giving herself. She left inspirational quotes on pieces of paper and made sure her sons were taken care of when she was gone. Dawn lived her life with Kingdom vision.